Reader Abbey recently wrote in asking about foundations. If you're looking for a natural or vegan foundation, see below for my recommendations! I found your site through The Kind Life, and I was wondering if you had any suggestions for a vegan/eco-friendly powder or foundation that isn't too heavy, but still will cover acne scarring and the occasional breakout. Any help is much appreciated! It sounds like you're looking for medium to full coverage in your foundation. There are a couple of different options I'd recommend: powder or liquid foundations. If you'd like a powder, my favorites are Alima Pure Satin Matte Foundation and Everyday Minerals Matte Base. Both are affordable, vegan, and come in a variety of shades. You can also purchase samples (Alima offers samples on each product page while EM's samples can be found here). 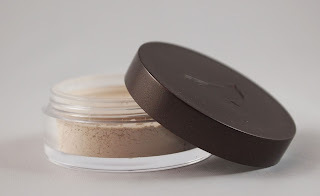 Powders can be applied in layers to build the coverage you need. You can also top off with a finishing powder (Alima offers one, for example) for additional coverage. The other option is a liquid foundation. My favorites are Zuzu Luxe Oil-Free Liquid Foundation and Gabriel Moisturizing Liquid Foundation. Although these are made by the same company, the Zuzu foundation is slightly lighter in terms of coverage. I've seen these two lines carried at many Whole Foods locations, if you'd like to test out color options and get a feel for each foundation in person. If you're a fan of pressed powder, Gabriel offers a Dual Powder Foundation that can serve as a finishing powder and/or a powder foundation. I'm a fan of pressed powder for situations where you want to apply throughout the day and don't want to mess with loose powder on the go. For tips on choosing your perfect foundation shade, click here. Disclosure notice: Some products mentioned in this article were sent to me free of charge by the manufacturer for review. No additional compensation was accepted and the opinions are my own. Please verify any claims with the manufacturer, especially if you have any allergies or concerns.